Happy New Year everyone!! This past year was an exciting year for me with two single releases to radio, my debut album release (a lifelong dream come true!! 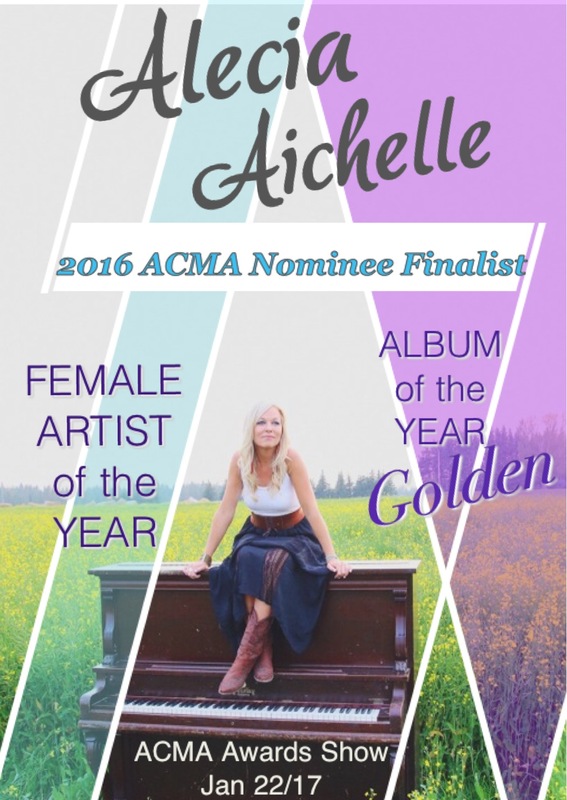 ), a full radio tour throughout Western Canada, many shows, and the honour of being nominated in the upcoming ACMA Awards! It has been busy and fulfilling and I have enjoyed every minute of it- from the music, to the business side and meeting so many amazing people along the way! 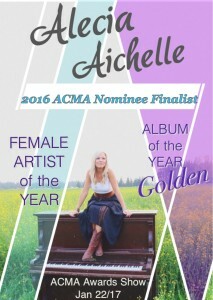 I am truly honoured and excited to be in the final round nominations for 2016 ACMA Album of the Year for Golden & Female Artist of the Year! Thank you so much to the Association of Country Music in Alberta and to the members who voted for me! What an honour to be recognized amongst the amazing talent we have in Alberta Country Music. I am incredibly thankful to be able to do what I love and share my songs with others! Final voting ended December 30th and the awards will be held in Red Deer, AB on January 22, 2017! Very excited to attend the awards banquet and broadcast! ← Christmas…. The Season for Giving!